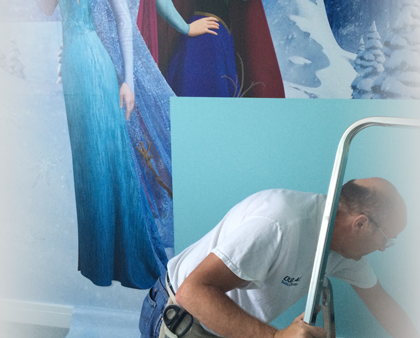 Since being established Roy Basten Decorating have grown from strength to strength.. I have been in the Painting and Decorating business for over thirty six years, with nearly twenty five of these in the private and domestic market. With experienced in dealing with all kind of domestic household decorating problems and have a large portfolio of customer work on which to call. I have a Construction Awards Alliance, Cskills and City and Guilds National NVQ level Three in Painting and Decorating. 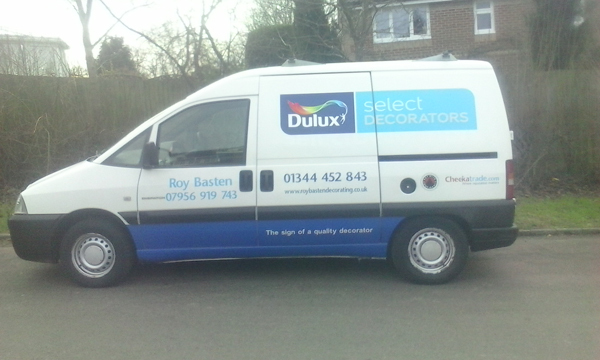 In 1997 I applied to join the Dulux Select Decorator Scheme my skills were assessed and I was accepted and became a Dulux Approved Decorator able to offer a Dulux backed guarantee. 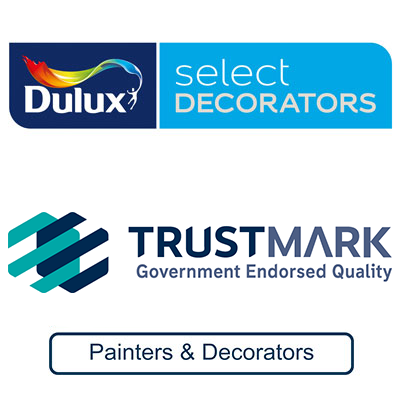 When the Dulux Select Decorator scheme was accepted in the government backed Trustmark scheme, this optional guarantee became a twenty four month guarantee backed by Dulux. We use "The Fox" brush range, British made. In November 2006 as Roy Basten Decorating, I joined Checkatrade.com a directory of trades where customers can leave feedback for members who have worked for them. Please click on the image below to be taken directly to my Checkatrade reviews to see what my customers say about my work and workmanship. In November 2009 I was accepted on the Bracknell Forest Borough Council Buy With Confidence Scheme which is run by Bracknell Trading Standards. All of this is in place to assure the customer that indeed Roy Basten Decorating is the right company to carry out the work that is required and to give total piece of mind that the work will be carried out in a totally professional manner. If comparing prices with other companies please ensure you are comparing like for like quotations and that the job specifications will meet all of the work requirements. 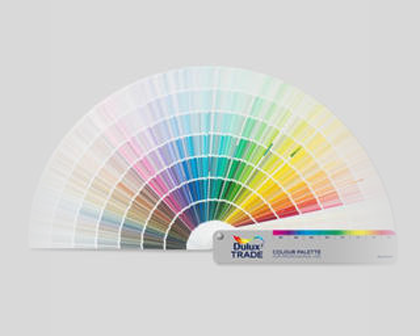 An optional two year Dulux Select Decorator scheme guarantee. Work and workmanship continually assessed by Dulux Select Decorator Scheme assessors. Public Liability insurance to the value of £2,000,000 verified by the Dulux Select Decorator scheme and Checkatrade. A decorator who works and trades to Trustmark Government endorsed Standards. 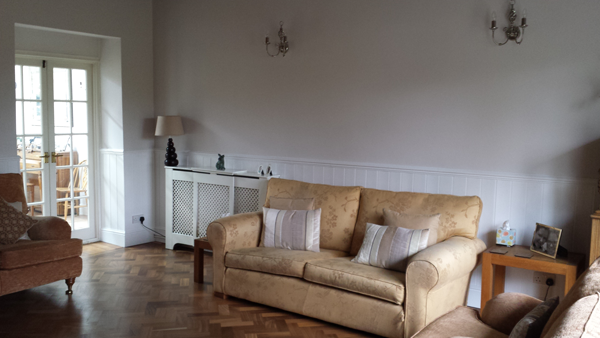 A Bracknell Forest Council Buy with Confidence approved decorator. A Trading Standards approved decorator.